The vehicle accident lawyers at Foran & Foran, P.A. have over 60 years of combined experience in handling injury cases including vehicle accident cases. We understand how important these cases can be in your life and how they can impact your life and will strive to provide you with the best personal service possible. 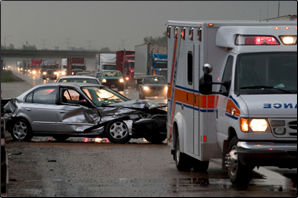 We handle many types of Vehicle Accident cases such as Automobile Accidents, Truck Accidents, Motorcycle Accidents, Boat Accidents, Airplane Accidents, Helicopter Accidents, METRO Accidents, AMTRAK Accidents and Emergency Vehicle Accidents. 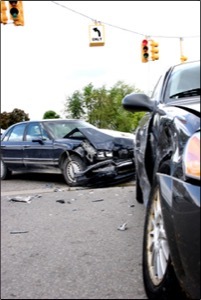 Our vehicle accident attorneys are licensed to practice law in Maryland and the District of Columbia. The Maryland Courts and the District of Columbia Courts each have their very own unique policies, procedures and laws that must be followed. In many vehicle accidents, there will be a liability determination before there is an evaluation of the damages in a case. You want to make sure your case is presented in the proper way so liability is accepted in your case. If liability is not accepted, your case will likely not settle and the case will go to trial for a determination of liability and damages. A proper investigation should be done immediately following your accident to determine what witnesses observed and what each party claimed happened in the accident. Make sure you call an attorney that is willing to investigate your case and will not settle the case for the initial offer made by the insurance company. If you or someone you know was injured in a vehicle accident and has incurred medical bills and lost wages, you need to find the right vehicle accident lawyer. Call the vehicle accident law firm of Foran & Foran, P.A. today! We can help. The best threat that you have as an injured person is the ability to file a lawsuit. Make sure you are represented by a personal injury law firm that will file a lawsuit on your behalf where appropriate. If you are injured in any type of accident either as an operator, passenger, pedestrian, bystander, or as a permissive user of property, you should have competent representation by an accident lawyer experienced in handling these claims. Call one of our experienced vehicle accident attorneys today. We can help. An experienced vehicle accident attorney can earn his/her fee by obtaining a higher result than what an insurance company may otherwise pay to an unrepresented person. One threat that insurance companies understand and sometimes respond to with a fair settlement is the threat of filing a lawsuit. If the insurance company is not fair, a lawsuit becomes the only reasonable alternative. In many cases, lawsuits must be filed to obtain additional information or to show the insurance company that you are serious. A plaintiff’s lawyer has many resources available once a lawsuit is filed. The attorney can propound interrogatories, request for production of documents and request for admissions of fact. Additionally, depositions can be taken of the parties and witnesses in the case. After discovery is completed, the parties should have a good sense of the liability and damages involved in the case. Do not wait and try to resolve the case yourself as you may lose track of witnesses or fail to secure vital information that pertains to your case. Please call one of our experienced lawyers today.